You’re probably familiar with using Google Sheets to organize and analyze your data. But did you know you can build a dynamic Google Sheets dashboard to really understand your data? With a handful of powerful techniques, you can add some pizzazz and dynamism to the presentation of your data. 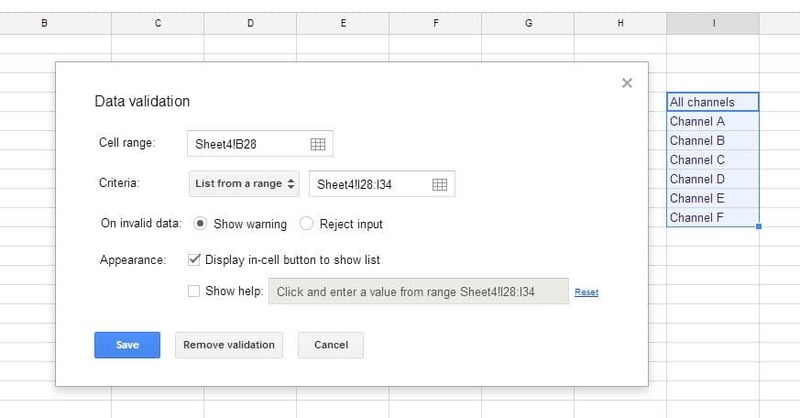 Here are ten tricks to try next time you’re building a Google Sheets dashboard. View your responses and setup the Google Sheets dashboard. 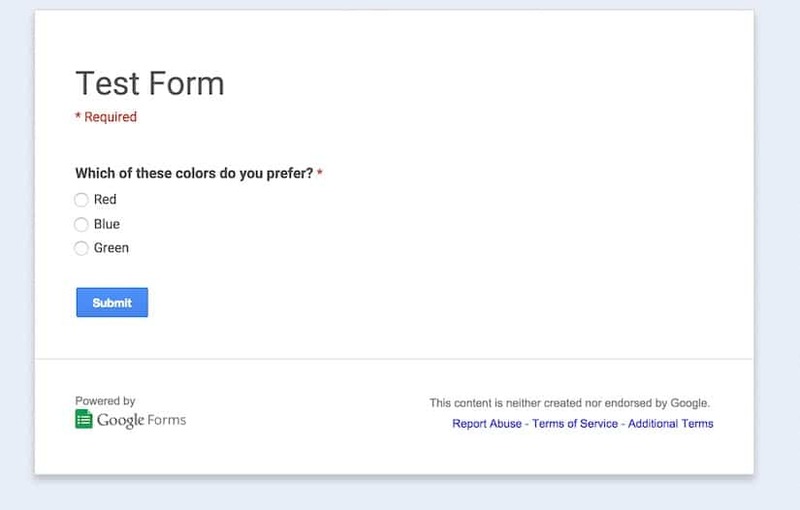 You’ll need to submit the form at least once, so that you have some data in your responses which you can use. I then added a new tab and created a new table (a staging table), which uses a countif formula (see section 3 on conditional formulas below) to tally up the votes for each color and show this count in the staging table. Then I added a bar chart and pie chart (see section 6 on charts below) running off this staging table to display the counts visually. These charts will update whenever new votes are submitted. This formula takes the search term in cell F1, for example a string “Channel A”, and looks for it in column A. At the first match, if it exists, (e.g. imagine cell A10 contains “Channel A”) it returns the value corresponding to column 4 of that same row (in this case D10, which might be a sales figure for Channel A). Searching through numeric or dates in your lookup column (the first column) requires the data to be sorted to avoid incorrect values being returned. HLOOKUP is a horizontal lookup implementation of the vlookup formula. I find it’s rarely used but useful to keep in the back pocket for certain specific situations. INDEX & MATCH are two formulas that combine together to create powerful, flexible lookup solutions. They are superior to vlookups by being more flexible and avoiding some of the pitfalls with vlookups (check out these articles here, here and here – they’re Excel based but still apply to Google Sheets). However, they are a little more complex to implement as they involve two nested formulas. Multi-condition lookup formula: Sometimes a simple lookup formula isn’t enough. For example, you may need to find a result based on two or more parameters (e.g. web traffic from a specific channel in a specific month). In this case, a multi-condition lookup formula can do the trick. which gives a result of 46,936. Crazy huh! This formula was inspired by this post from Excel wizard Chandoo, and uses an index/match lookup to compare multiple values across multiple columns in a data table. It concatenates the year, month and channel, to use as the lookup value, then looks for this concatenated value in the raw data across the year, month and channel columns. When it finds the right match it returns the corresponding result. Dashboards often have a date component to them, where a variable changes over time and merits being illustrated visually in the dashboard. There are various formulas/techniques available for automating this process. Both the today and now functions can be set to update automatically, rather than just when the sheet is recalculated. Go to File > Spreadsheet Settings and then select “On change and every hour” or “On change and every minute”. Be careful of inserting too many of these formulas in your spreadsheets as they are volatile functions, which means all that recalculating will harm your spreadsheet performance. For a more complex example, think of setting up start and end dates for a dashboard table, where I could enter formulas using the today function, set it to update automatically, and then base the other dates off that, using formulas. The eomonth formula comes in handy here, returning the last day of a month which falls a specified number of months before or after another date. I could then keep “rolling” the months back, by changing the “-2″ to “-3″ for two months prior, then “-4″, “-5″ all the way back to “-13″, to give the current month plus 12 preceding months in a table, which would automatically update as we move into each new month. > How do I get the first and last days of the current month? > How do I get the first and last days of the prior month? 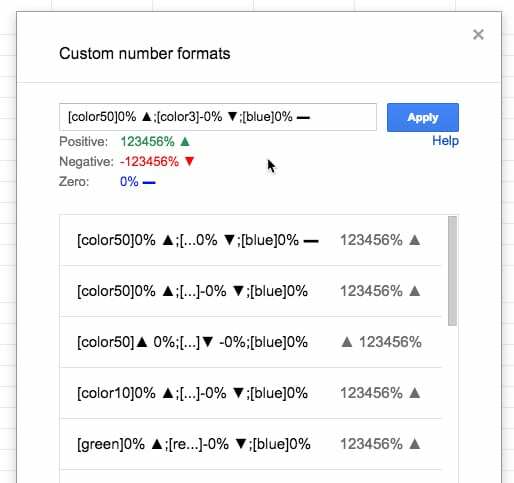 There are many possible variations from combining today, date, text and eomoth formulas, to get the correct periods you want in your Google Sheets dashboard and have them update automatically to stay current. Use data validation to add interactivity to your dashboards. You can create a nifty drop-down menu from which the user can select a parameter, e.g. a sales channel or specific time, and then change the data based on this choice, so any charts will update automatically. It’s a pretty simple technique but surprisingly powerful. Data in the table which underpins a chart is changed based on the user’s choice from the drop-down menu above, by using one of the lookup formulas from step 2. 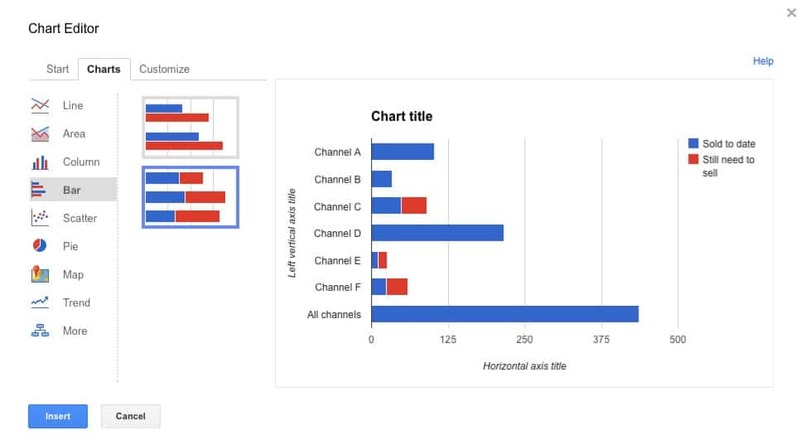 Further reading: Check out this article and YouTube video on how to use data validation to create dynamic charts. Google has a whole suite of charts available to use with your data. Some of the most well known are the plain old bar/column chart, the much-maligned pie chart (for and against arguments. Personally, I think judicious use is ok), line charts and scatter plots. In addition though, Google Sheets has the ability to create map charts, interactive time series charts, gauges (can be useful if used judiciously) or combined “combo” charts, which allow you to combine different data series visualizations. The humble bar chart can be tweaked into a stacked bar chart, which can be used to visualize two related metrics, for example how many sales have been made so far, versus how many are still required to hit the target. More info on setting up charts in the official docs here. Sparklines were first created by statistician and data visualization legend Edward Tufte. They’re small, simple charts without axes, which exist inside a single cell. They’re a wonderful, quick way for visually showing a result, without needing the complexity of a full-blown chart. They work well for datasets based on a timescale. where data refers to a range of values to plot the sparkline. The optional options argument is used to specify things like chart type (line, bar, column or winloss), color and other specific settings. 9. Format like a pro! It’s quite likely you’ll want to share your dashboard with colleagues, clients and/or the world. There are a couple of ways of doing this. From here, you can enter email addresses to share directly with colleagues, or you can grab the sharing url and email that to people you want to share with, or paste into social media channels. You have control over the access rights and whether recipients of the link can view, comment on or edit the dashboard. 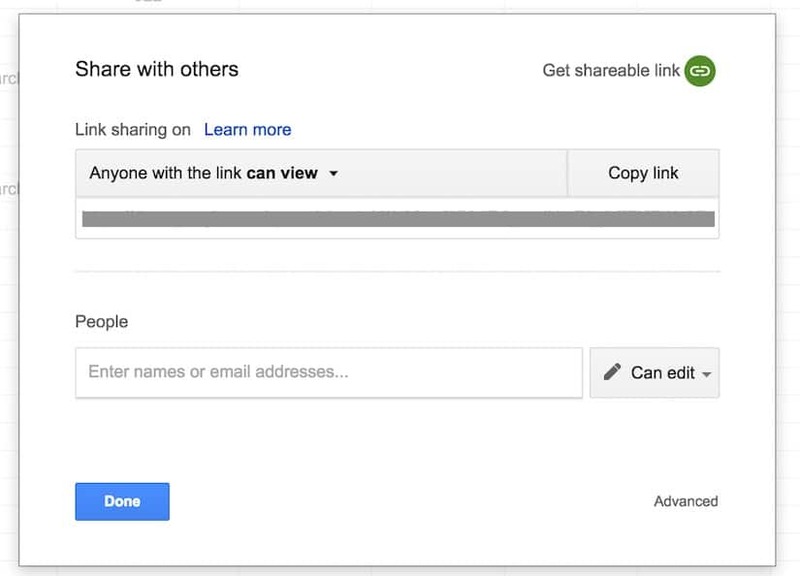 More information on the sharing settings in Google sheets here. Grab the Google Sheet template for this Google Sheets Dashboard tutorial, with all 10 examples!! Thoughts or comments? Do you have a favorite technique or formula for dashboards? Leave your ideas below! I have to now transform every thing on a common platform like google sheets. was worried about how do i start with limited time in hand. Your article will definitely help me with a great start. 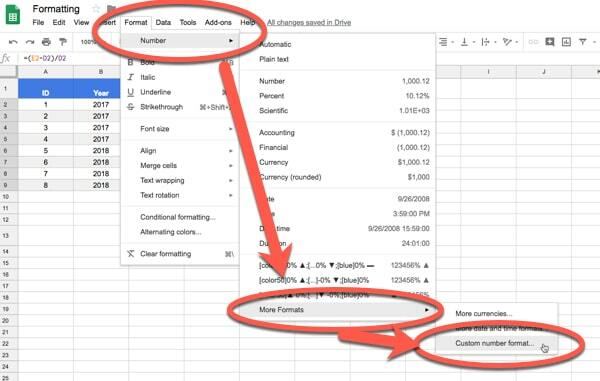 but i am still wondering for other ms excel features if present on google sheets like dependent drop box. well i will have to dive in to learn more. Thanks Reynold, glad this helped! Feel free to post any specific questions here and I’ll see if I can help. Ben, great article with some great ideas. Thank you! My question is regarding SPARKLINE and if it’s possible to use an array in conjunction with it (I am just getting baptized in all the greatness of Sheets and don’t really know the lingo). My intended outcome is to have a SPARKLINE column chart at the end of each row of data (I imported my data using IMPORTRANGE from a Form Response Sheet and it will frequently update). Is there a way to have SPARKLINE applied to each row of data that is imported or would I have to manually set that up? Thanks John. One way to do this would be to simply have the sparkline formulas all set up in advance, in the column next to your imported data. Then simply copy it down, way past your current last row. It’ll be blank until you import data and then it’ll create a sparkline for you. Basically it tests whether the cell is blank and creates a sparkline if it finds a value. Could you show how to graph last 12 months sales figures using today’s date as input? You’ll want to have sales as your vertical y-axis and time series as your horizontal x-axis in your chart. So you’ll need this data in two columns, then you can select it and insert a column chart. If you want to group the data into months first, then use this formula: =month() to extract the month for each date in your dataset, then create a pivot table of your data with Months as row headers and sum your sales values (this will aggregate the data), before creating a column chart as before. 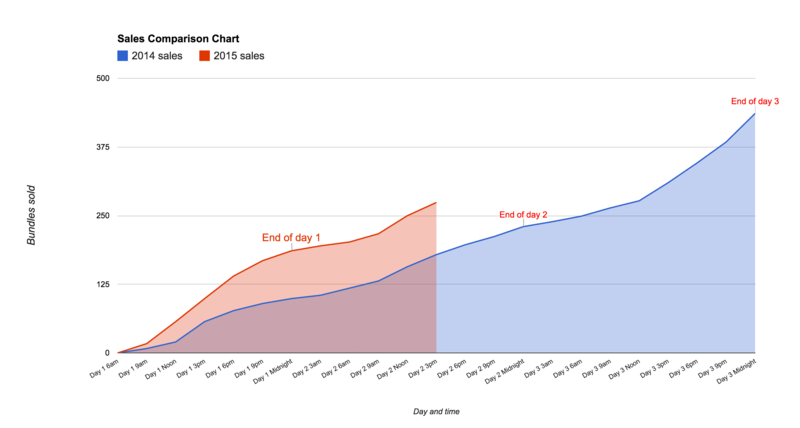 You can extract your sales dataset based off today and this date one year ago. This is really great! congrats! I’m looking to move away from Microsoft PowerPivot, but I cannot get the great functionality slicers provide. I can see how your data validation is very close to it, but I don’t think it is slicing data to the level I need. I use that to build segments of users. Do you have any suggestion on how to better achieve this? Hopefully with these tips I can finally get rid of my windows machine and go back to super convientent for all web work macbook. Really appreciate your work here! It would be very great if you take some time to look at our problem belew and maybe provide us some guidance. We have already used dashboards in Google Sheets for a year in our startup, but when the data got in to more than 100,000 rows we struggled to work with the sheets. 1. How can we still build dashboards in Google Sheets with our new MySQL database without importing data (because if we import then we solve nearly no problems here). Our analytics team has been familiar with Google Sheets. 2. If we shouldn’t create dashboards with Google Sheets when our data has grown big, what are our alternatives that are free and ‘open-source’-like. We prefer to take time over money. I know that I am asking quite much, but I myself struggle with the problem for nearly a month! Thanks very much and really sorry for any inconveniences. Yes, it definitely sounds like you’ve reached the point of needing a database! You’ll want to migrate all of your data into the MySQL database and then connect your Google Sheet to the database. You can write SQL statements to then retrieve only the data you want to show in your Google Sheets or dashboards, which should solve the performance issues. In terms of open source dashboard tools for MySQL direct, there are some tools out there of varying degrees of skill level. I haven’t used any that connect with MySQL though, so don’t have any specific recommendations there. 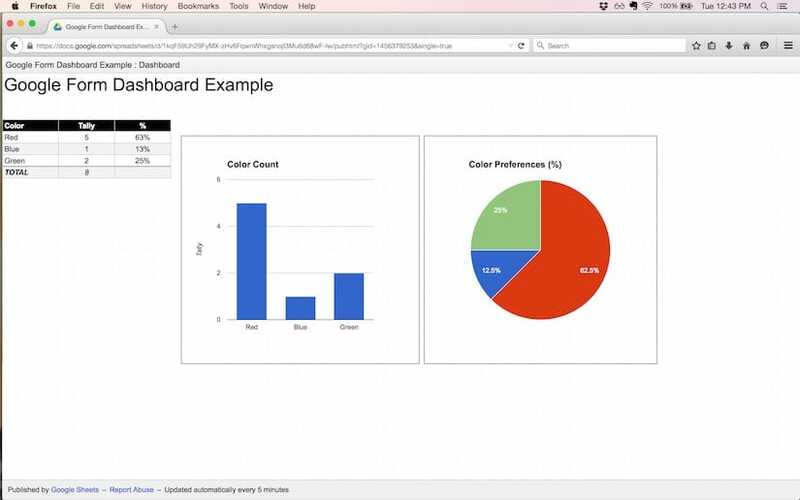 If you don’t mind your dashboards living in the open on Tableau servers, then Tableau Public is free and as powerful a dashboard tool as they come. Actually I have spent my recent two weeks writing some Google Apps Script codes to push and pull data between MySQL and Google Sheets. Basically they work, but the best I can do is to, once a day, trigger the raw data spreadsheets to push to as well as make the function spreadsheet pull from MySQL. Again, many thanks for your reply, it helps me a lot and I really appreciate it! Also sorry because I’m not really good at communication in English. Quy – you’re right! It’s been a while since I’ve used Tableau Public and I forgot that the MySQL connector isn’t available on the public version. Can you not set your trigger to run once an hour? Would that be real-time enough? Thanks for your suggestion, Ben. We have people work in the raw data sheets all day, so a script that runs once every hour would interrupt them for a while, and may cause disorder I suppose. That’s why I originally intend to trigger the script only at midnight. Maybe it’s time to seriously consider migrating those processes into some modern kind of databases with tailored user input form… Ben, do you think that the only choice I have left is to ask the tech-team to build something like that? Well, it sounds like it’s worth investigating that route. Maybe you could import the data into one master sheet hourly, and then have your team work on different sheets using the IMPORTRANGE formula. Maybe that would reduce disruption although I haven’t tried this particular scenario myself. Thanks a lot for your suggestion, Ben. Maybe this will help us to work around before the tech-team can provide solid solution! Hi Ben – Question: When I publish a sheet to the web and embed it into a webpage on WIX I can’t seem to figure out how to format the sheet so the borders won’t show. I see the name of my sheet at the top and published by Google Sheets – Report Abuse – Updated automatically every 5 minutes at the bottom. Is there any way to completely eliminate those? Thanks. Your course looks great by the way and I love your tips. Thank you! I have a dashboard with a lot of charts. I really like the ease of use of Google Spreadsheets. However, my charts seem to move around and not stay put. I want them to be in nice rows and columns and stay that way. Have you found any way to force the chart to stay inside of a cell? So I can make all the charts the same size and maintain clean lines? Hey Dan, this is a good question. I sometimes find my charts creep around a little (never by much) but I don’t know of anyway to “lock” them. It’s always been very minor so I’ve just lived with it. You can use sparklines to create mini charts inside a cell, and you could always make the cell bigger or merge lots of cells together to make a bigger chart if you want. I use this tactic a lot with dashboards. I’ve learned a lot from this. I was practicing to publish to web option. in the first instance it is worked well, then I changed something in the same sheet, then again i tried to publish to web option. still it is showing same old first page only instead of the second revision. I am glad to find your site, as I’ve found a couple of new things for me. Publishing on web is one of them. As it solves 1 problem; links begin to be 1-click objects. 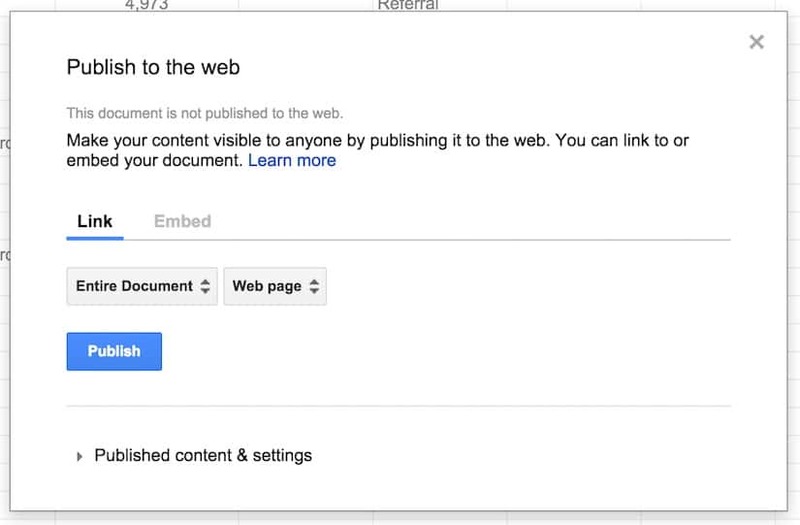 1) if I want to publish only one sheet, which has links to another sheets, it doesn’t work. As links redirect me to that published page, but not into the SpreadSheet. I am thinking about whether there is any method to combine “inner” link with “web” link. Like link, which redirects me into specified sheet in specified document. 2)second pain is about publishing dashboard, as it becomes unchangeable, and all my techniques with dynamic charts, and everything else become useless. For 2) you can share the sheet and lock ranges except for the dynamic controls or you could look into using Google Data Studio. In Section 9 you recommend to play with charts and gridlines to give the dashboard a polished format. Unfortunately it is not possible to remove the border of a chart in gsheet, and this little annoyance conflict in a very big way with a clean dashboard. Do you have a clever workaround ? Unfortunately not. I agree, it’s annoying! On technique #5, after I publish the sheet, the interactivity does not work. The dropdown arrow does not show up. Is there something that I need to do to fix this? So long story short… no pivot charts in Sheets? Building them all manually makes sense I guess. I just worry about processing time, but maybe that’s only an Excel thing. Next Next post: Hang on a Median, whaddya Mean there’s no Mode function in MySQL?